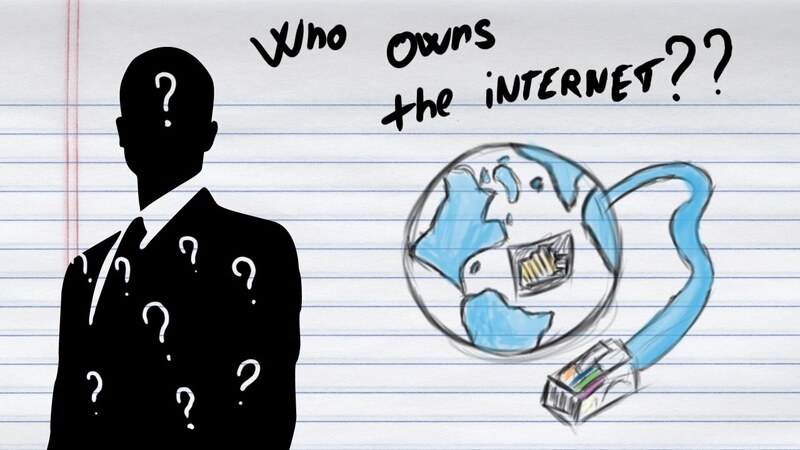 Just Who Owns the Internet? Some connect to it, some surf it, and others are addicted to it. We use it to keep up-to-date and to stay connected. It has been referred to as the web. the ‘net, and the world-wide-web. It, of course, is the internet. But just what is “it”? 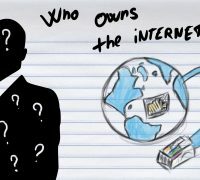 What are its components, what is it most often used for and just who, after all, owns the internet? You may be in for some surprises. The internet is an increasingly large network of wires and wireless systems that serve to connect a variety of devices that communicate with each other through a set of common language protocols. Today, it is actually a network of networks that are all interconnected in a web-like fashion. The internet can be best described as a network but to be functional the network needs a language and hardware to make it useful. There are, of course, wired and wireless aspects to the internet. You may have cable television that connects you to the internet or cell towers that accomplish wireless cellphone connectivity. Overseas connections may be accomplished through fiber optic cables running along the ocean floor or through satellite or radio transmissions. Hardware is generally divided into clients or servers. Clients include hardware that makes use of data found on the internet like a desktop or laptop computer, cell phone or printer. Servers are devices that store information and software that allows this information to be shared among client devices. The language of the internet is so critical in its functionality that it is generally accepted that it wasn’t until Transmission Control Protocol (TCP) and Internet Protocol (IP) was created as the protocol suite, (TCP/IP) in 1982, that the internet was “born”. The Internet Society offers a more in-depth look at this history of the internet for those interested in pursuing more details. Recent statistics show that just over 25% of all communications on the internet are conducted in English. Chinese is second at about 20% with 8% of users speaking Spanish. China, with over 730 million online users, has the most internet users followed by India, with over 460 million users. As far as the United States is concerned, the country has 289 million online users, accounting for an almost 90% penetration rate. Worldwide, it is estimated there are over 3.5 billion internet users. What are all these people using the internet for? If the world’s most visited websites are any indication, the internet is mostly used to gather and share information. Google is the most often visited site on the planet followed by YouTube and Facebook. It is interesting to note that about 51% of all internet traffic in 2017 was performed by some form of “bot” while about 49% was from human activity. Like previous media, advertising has found its place at home on the internet. Spending in 2017 on internet marketing exceeded that of television for the first time. What makes this such an interesting question is the answer may depend on why the question is being asked. North Korea has more of an intranet than internet with only a few dozens North Korean approved websites available on their edition of the ‘net. Orangewebsite.com recently published an article on The Most Internet Restrictive Countries on the Planet. While individual countries can regulate internet access and use, and they can even jail citizens for internet posts, they don’t “own” the internet in the true sense. The reality is, the internet exists for the good of those who participate in its functionality. You may “own” your own section of the internet with your personal electronic devices but likely pay for access to the world wide web. You may pay for access to one of many large telecommunications companies who has invested in the “backbone” of the internet. These companies include giants like AT&T, Comcast Xfinity, Time Warner, Charter Communications, Verizon, and others. These are names that are seemingly constantly in the news regarding mergers and acquisitions as they position to combine themselves with content companies to provide more attractive “packages” for consumers. On the server side, millions of companies pay to lease server space so their websites are reliably available to consumers and potential customers who may be interested in what these companies are offering. This is one of the functions that Orangewebsite.com plays in our role on the internet. What is Orangewebsite.com’s Role on the Internet? When a large or small company wants to make an impression on the internet with a website, that website must be reliable and quickly accessible. It must offer conveniences consumers are comfortable with like secure payment systems and security in general. It needs to offer mobile capabilities and have a technologically adept team to keep servers and equipment running at peak performance at all times. It should always make available the latest software and add on’s both clients and consumers expect. At Orangewebsite.com, we are committed to all of these and more. We provide “green”, environmentally friendly hosting in Iceland, a country with abundant renewable energy resources and a government commitment to a free, non-intrusive role on the internet. If you are interested in co-location and hosting services, we invite you to learn more about us and our role in offering a more green, free internet. We invite you to contact us at Orangewebsite.com. The more you know about the internet, hosting, and the importance of the environmentally friendly use of technology, we think the more likely it is you will choose Orangewebsite.com. There are generally, three kinds of people. If you wonder why people blog, this may give you some insight. If you read blogs for enjoyment, to get information or for camaraderie, you are among the majority. If you are a blogger, you likely have a mission. It may be to just share thoughts and experiences. Many blog to create an income source and others blog as part of a content market strategy and for SEO purposes. While blogging started as a homespun way to share thoughts and opinions, it is big business today. Some estimate that there are more than 300 million blogs on the internet ranging in subject matter from the care of your new kitten to how to build a home. Bloggers range from stay at home mom’s to highly educated, professionals. Why Do People Spend Time Blogging? Many believe the reason people blog is to share their experiences for the common good of people in a specific portion of their life. 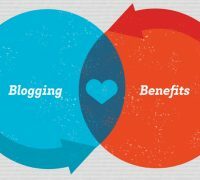 While some bloggers are altruistic in nature and seek to inform the masses of the benefits of their experiences and knowledge, most have a more bottom-line focused motive. Advertising revenues, page-views, click-thrus, name recognition, inbound marketing, content marketing, and reputation building are but a few. Google loves websites that contain blogs, especially when they are kept fresh and pertinent. This makes blogs valuable for search engine rankings. Blogging is also a powerful way to increase visitors, as sites with blogs get 97% more inbound links than those without. There are plenty of statistics that demonstrate the power of blogging. Blogs have been shown to shorten the sales cycle, positively impact the amount of inbound lead generation, and they build trust. They are a significant source of information as consumers move through the sales process. They hold much of their power because people read them. Generally speaking, people read blogs to gain information. That information may help confirm their own opinions or it may help them complete a task. People read blogs to gain insights and recommendations. They may be facing an unfamiliar problem in life and in search of solutions. Every segment of society reads blogs. Readers may be searching for help on everything from selecting a baby’s name to finding the most exotic places to plan a vacation. 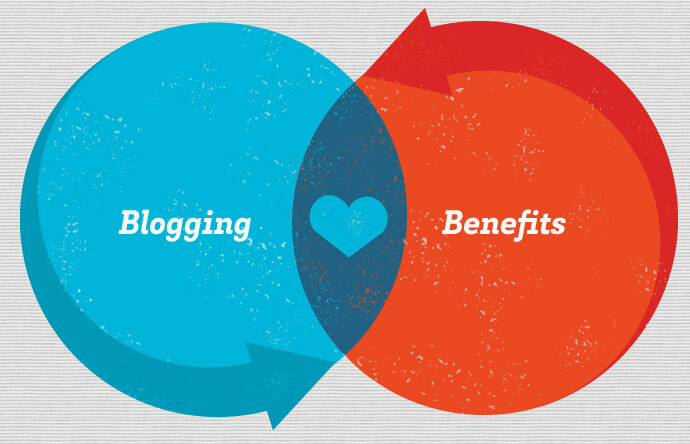 Topics, content, and attitudes are unlimited when it comes to blogging. While search engine rankings, clicks, and inbound links should be motivation enough to create and maintain a blog, there is a long-lasting impact blogs can have on a business that many pay little heed to. Blogs can position you and your company as an expert in your business segment and therefore brand your business. Blogs will affect how people perceive you. Carefully crafted blogs can mold your business persona as you choose. Do you want to be perceived as an elite in your field? Would you prefer an image that is friendly, approachable, and one that is viewed as a trusted resource? Blogs can be humorous, down-to-earth, and sarcastic or they can be laser-focused on professionalism. They should always be honest, helpful, and fresh. The point is, this “persona” should be a conscious decision. How do you want to be branded and positioned in the marketplace and does your blog help create that brand? Sure, blogs will help with search engine visibility but they will have a long-lasting impact on the “personality” and voice of your business. It is up to you to determine what that voice will be. You’ve probably heard the phrase “content is king” in digital marketing today. In the past half-dozen years or so, content has climbed the ladder in terms of importance in search engine rankings. That, after all, is the purpose of a search engine, to help users find relevant content. While many are focusing on H1 and H2 headlines and subheads, keywords, and keyword phrases and where and how often they appear in content, they may overlook the important role the content will play in branding and positioning their company. There is an expression that says “It’s not so much what you say to a person that will make an impression but how you make them feel.” This is not to say that the content is not important, of course, it is. How your blog content is written, however, will impact how your readers feel about you. That will have a big effect on if they will want to do business with you. It is not enough to provide data or useful information. If they don’t feel good about you, they will just take the data you provided and use it when finding a resource they are more comfortable with. 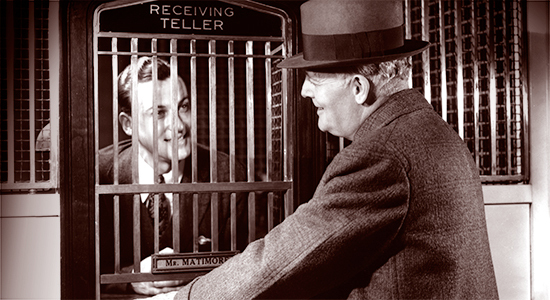 How do you want your customers to feel about you? Make sure your blogs help mold that emotional bond and you can create an even bigger impression through your content marketing. You will better create a brand and position yourself in a way that converts more readers and visitors into customers. This is what customers expect their 24/7 technical support team to look like. The truth may be entirely different. This is probably the most common issue with 24/7 support. Some hosting companies claim that they have technical support available outside of office hours and even on holidays. What they don’t tell you is that this covers only level-1 support. In many cases level-1 staff have very limited knowledge about handling issues. Their capability may be sufficient for assisting you with setting up an email account or pointing your domain to new name servers. 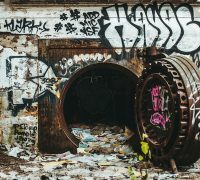 However with more complex issues, such as website being down or hacked, the issue would be instantly escalated to a queue for higher levels of support. Therefore in most cases level-1 is more like a virtual secretary who answers your ticket to let you know that the message has been forwarded to a technician, who will be responding to the matter “as soon as possible”. Worst case scenario you would have to wait for an answer for days, especially if it is holiday season or on weekends. This can be nerve-breaking when you need the issue to be addressed immediately. Outsourcing technical support can be an attractive option for a hosting company to save money and resources. 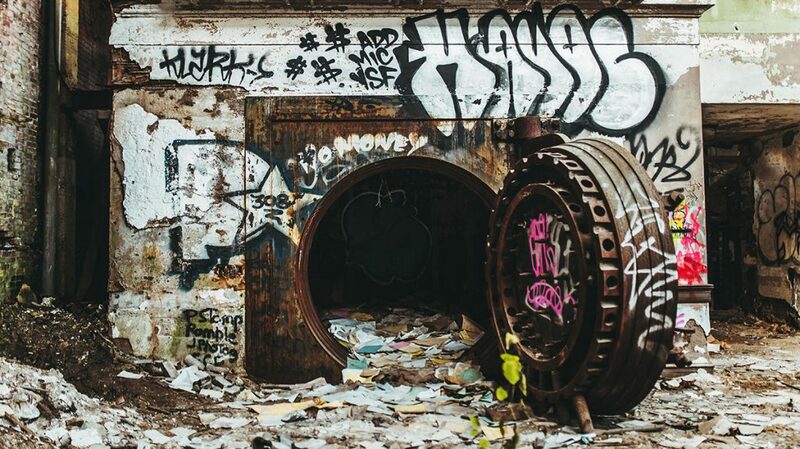 Instead of recruiting and training their own in-house staff whom would be on full payroll, many hosting providers take a shortcut and hire outside help. Sometimes if they get lucky they can get a capable team to help their clients but often outsourced help desks lack the quality of service. The reason why an outsourced support team is never the same as an in-house one is mostly because of communication problems between the owners and support teams. Many times the outsourced support team is located in a different country. This may cause a language barrier and misunderstandings. The owners would never know for sure if the team is always there to perform their duty. The outsourced support team is not only working for one company. They are simultaneously working on multiple different help desks. It is also impossible for the owners to know the credentials of an outsourced technician. Many times they don’t even know their real names. Trusting your data in hands of someone nobody knows seems a bit risky. It is a valid point to argue whether it is reasonable to call a support “24/7 support” if a customer has to wait for hours or days to even get a response. In the online world, it is difficult to know whether the hosting provider is honest about telling the level of support they provide. We have heard quite a few cases about companies claiming to have 24/7/365 support, but when all hell breaks loose, nobody is there answering your support tickets. This can be really disappointing from the client’s perspective. So what can you do to avoid unpleasant surprises? This all may sound really frustrating when you are looking for a hosting provider that you could really trust. You can never know for sure before trying but there are a few things you can certainly do to improve your chances of finding the best web host for you. 1. Contact the sales support before signing up to confirm if they also have Level-2 and Level-3 coverage 24/7. In case they do, is it free of charge outside of the office hours? You may also try to ask whether they have an in-house or outsourced support team. 2. See how long it takes to get a reply from a sales representative. It is understandable that with more complex system quotes it may take some time to compose the reply. However if the sales agent takes hours or days to answer to your simple questions regarding the service, you can expect the same from the technical support. 3. Pay attention to communication skills of the support agent. If they fail to answer your questions, don’t understand you at all or in case the reply contains numerous errors, you might be dealing with an incompetent, outsourced customer support agent. 4. Try contacting the technical support on inconvenient hours, in example during holidays or in the middle of the night. If you get swift replies at all times, you can be sure the company in fact has 24/7 support. In case you have to wait for answers for hours or even days, move forward to your next potential hosting service option. 5. Read customer reviews on reputable web hosting review web sites. It is a really good indicator to read testimonials of existing customers of the hosting provider. Google is your best friend when looking for unbiased customer reviews of your potential web host candidate. If you are tired of looking further, you are welcome to sign-up with our web hosting services. I can assure you that you will be satisfied with the level of support we can provide to you. Our in-house support team has been awarded as one of the best support team’s on market. We provide real 24/7/365 support with unlimited level-3 coverage and guaranteed response time within minutes. You can view our hosting plans here and in case you have any questions, please feel free to contact our support! New outlook on our website is to remind everyone that Christmas is all about giving. Spread the holiday cheer and get involved with a charity project of your choice! The holiday season is rapidly approaching and we have published new Christmas outlook on our website to spread the holiday cheer. Some of you may have noticed that there are new trees growing on the view of Icelandic landscape. This is because OrangeWebsite helps The Canope Project to plant new trees every month. With World Vision gift project, you can give where it’s most needed. With minimum donation of $10 USD you can support the less fortunate children around the world and give them a Christmas gift of your choice. Most of us are going to buy Christmas presents anyway. Why not to choose a present that also makes the world a better place? Internal Animal Rescue offers gifts from soft toys to virtual gifts. All profits are used for supporting projects that help animals around the world. This way your gift gets a double effect. International Animal Rescue also accepts money donations for it’s projects. Give good with Unicef inspired gift and change a child’s life. You can give gift of your choice from polio vaccines to footballs, starting from $16 USD per donation. Christmas time is a good time to get involved with environmental projects as well. Giving back to the earth what you take helps to keep the ecological balance. Green schools Campaign helps to build energy-efficient schools that provide children science-based environmental and civic education in the classroom. OrangeWebsite and it’s staff is sending you warm winter wishes for an enchanted holiday season. May this wonderful time of giving bring you joy that lasts throughout the year!